Oh Pi Day- the most delicious contribution from mathematics since Avogadro’s Number. Get it? Avogadro sounds like Avocado? What kind of food nerds would we be if we didn’t celebrate? And celebrate we did. I hosted a Pi Day bake-off at the office, and while I may have fudged the scores a bit because of Bakeoff Rule #451 (Though shalt not win thine own bake-off), I think I can spill the beans here: my Chess Pie won! Now y’all, I thought I was up a creek without a paddle attachment when I realized that my roommate had taken the stand mixer. 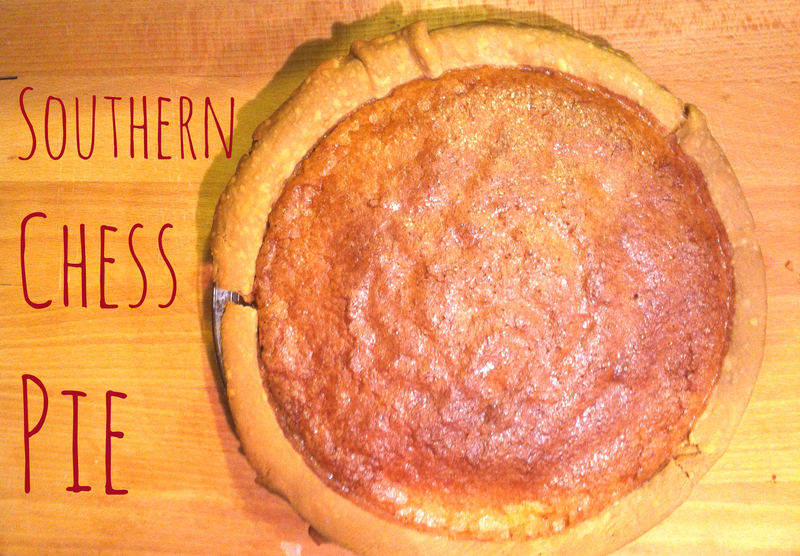 But this classic southern Chess Pie is not only scrumptious, you can also make it with a fork. No fancy mixer needed here! Although you can, of course, use a Kitchen-Aid to make your life easy and breezy. 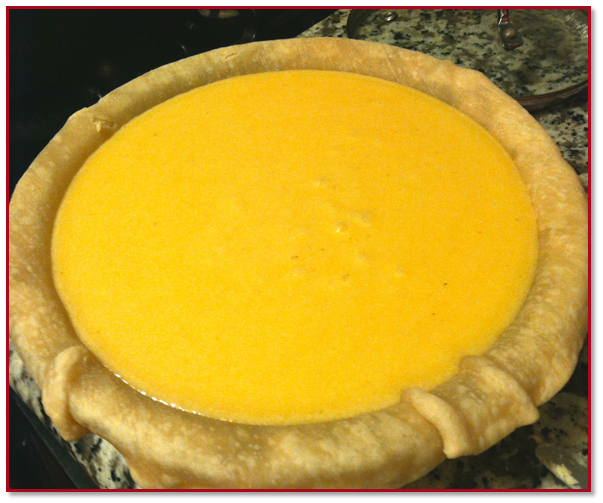 For the Pie Crust: Use your favorite! I’m really not the baker in this friendship, so I would go with any of Julia’s pie crusts. 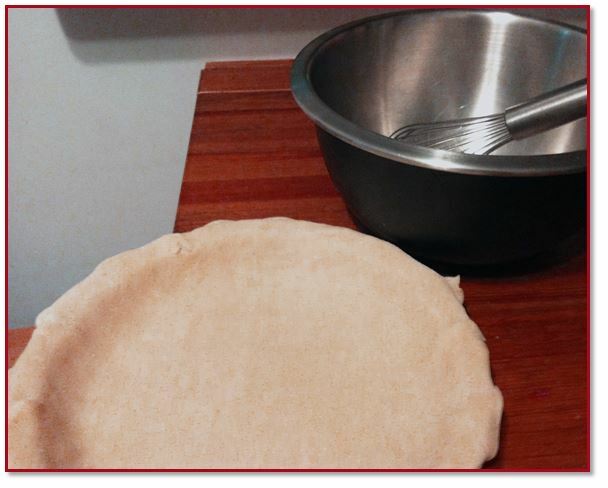 Preheat the oven to 425° and bake your pie crust in a pie pan (you can line with foil and fill with beans, or you can not) for ~5 minutes. In a large bowl, stir together sugar, cornmeal, flour, salt, melted butter, milk, lemon/vinegar, and vanilla. Then lightly beat your eggs and add them to the mixture. Ok, are you ready for the hard part? Pour into your pie crust. Bake at 350° for 50-55 minutes. After about 10 minutes, wrap the edges of the crust in foil so the edges don’t get too brown. 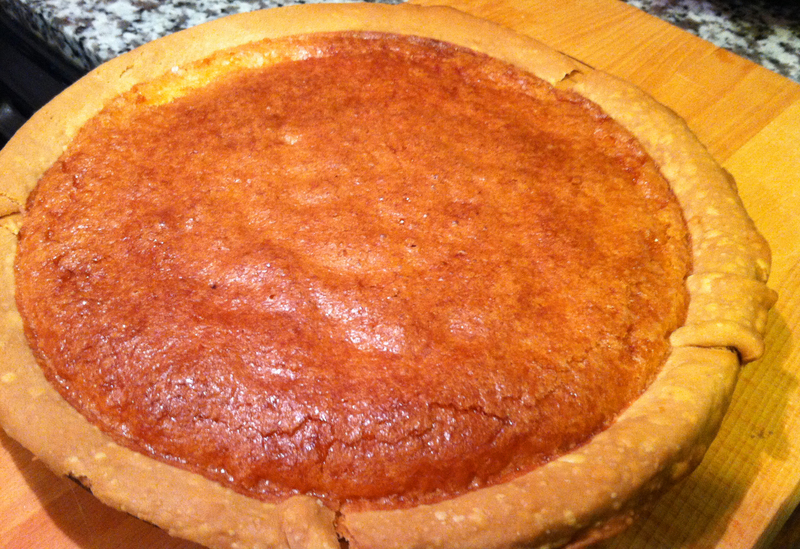 Once your Chess Pie has cooled completely, enjoy a slice. Or two. And then take it to your Pi Day bakeoff and win because it’s basically cheating to make a pie out of butter and sugar. If you want to mix it up, you can add baking chocolate, lemon, raspberry, or top it with whipped cream or powdered sugar. 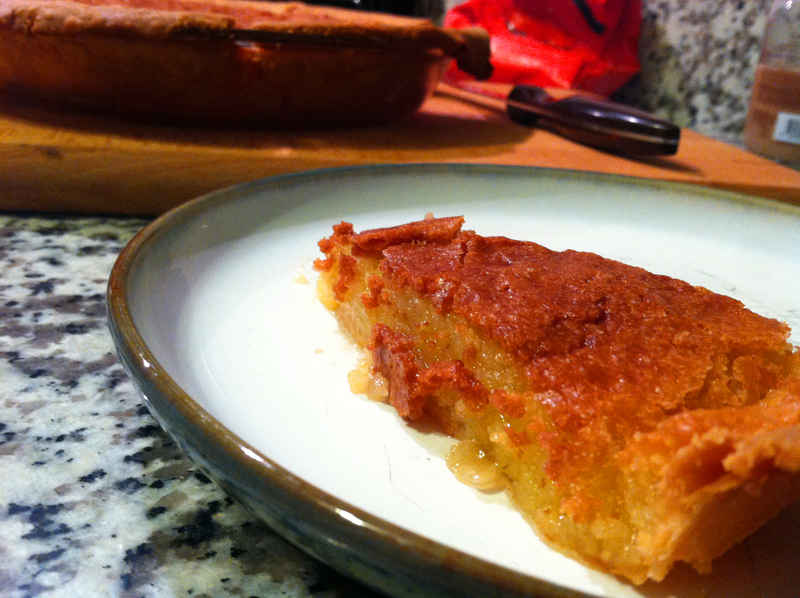 You can vary it all you want, but this pie will always be delicious and old-fashioned. Yum! One of my favorites growing up – will have to make again soon!